I will freely admit I’m not the biggest Kristen Stewart fan. As of writing this, I’ve seen all of her movies and I think she always plays her characters well but she basically plays slightly different variations of the same characters over and over. I think she really has a lot of potential. She just needs to try new things and experiment with different types of characters. I have little doubt she’d be able to handle it if she just stepped outside of her comfort zone. With that said, one complaint I don’t have about Miss Stewart is her style. Krsiten Stewart hairstyles always play up her wardrobe choices, showing it’s possible to be chic without sacrificing your own personal style. Let’s take a look at how Kristen Stewart hairstyles have evolved over the years and talk a little bit about each style. Look at that fresh faced little girl with the pretty blond hair. 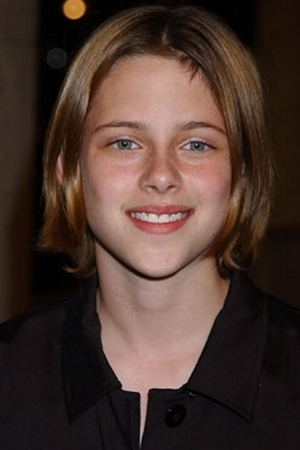 It’s just a little hard to believe that is none other than Kristen Stewart at the ripe old age of 12 years old, attending the premiere of her film, Panic Room. This photo really shows that even at 12 years old, Kristen was doing things her own way. While many other young starlets may have put on a pretty dress and put a fun hair accessory in their hair, Kristen kept things simple. Great look. Also, great movie. A little more than a year after the Panic Room premiere, Kristen once again hit the red carpet for the premiere of her film, Cold Mountain. This premiere saw the debut a much different look for the actress and it was a look young Kristen would return to time and time again. The darker, longer locks were clearly a big hit and although the experimented a bit with the style, the darker shades are definitely comfortable for Kristen and why not? They look great on her although, in all honesty, I do think prefer the lighter shades on her personally. I really think Kristen got it right on all fronts with this look from 2005. The shade is beautiful on her and while the style is a little more ‘done up’ than we often see with Kristen, it still has that comfortable, casual feel. It compliments the shape of her face beautifully and highlights her best features. It showed a more mature look for the budding start but it only really marked the beginning of a new look and a new direction for the soon to be superstar. Although quite uncharacteristic for the young starlet, this is probably one of my favorite Kristen Stewart hairstyles. This classy, but still casual, updo was a great indication of the direction Kristen was headed. It was more mature but still very age appropriate. It was also nice to see a departure in the style with the chic updo. The slightly messy look with exposed roots gave it a very “Kristen” feel while still showing us something different. With Twilight-mania in full swing, Kristen returns to the comfort of her darker roots and gives us our first glimpse of what will soon become her trademark messy tresses. This is a great look on her for so many reasons. It’s wild, messy and untamed. It tells us everything we need to know about who Kristen Stewart is. The color is fabulous and the style is very much her own. I loved this look and it was only the tip of the iceberg. Later in 2009, Kristen showed up for the latest round of Twilight promotion rocking a much shorter, much darker hairstyle and I have to admit, I wasn’t a huge fan of it. It looked alright on her but I felt there was more she could’ve done with it. This look, however, was for one of my favorite Kristen Stewart films to date, the excellent but very underrated The Runaways. In March of 2010, promotion for The Runaways had begun and Kristen hit the red carpet at the premiere with a slightly longer version of the cut we talked about above. I loved it – absolutely adored it. With a little bit of styling and a little more length, this look suited Kristen to a tee. Since March 2010, she’s brought variations of this style back a few times but I loved few of those variations as much as I loved this one. I love this look from June 201o in ways I can’t express. The casual pony tail was perfectly suited for Kristen and meant she may be moving away from her tendency to hide behind her hair. Kristen has lovely features and this pony really showed them off. I also love the fact that she decided to pair the casual pony tail with minimal makeup to really give her a look that stood out. It seems as if 2010 really saw Kristen coming into her own because here we have yet another fantastic look from Kristen Stewart from that year. This is a daring look not a lot of women could pull off but Kristen nailed it. With her fringe swept to the side and her hair pulled up into a casual but still formal-occasion appropriate updo, Kristen showed everyone that she can rock just about any look she wants with confidence to spare. Classy. Sophisticated. Understated. Gorgeous. 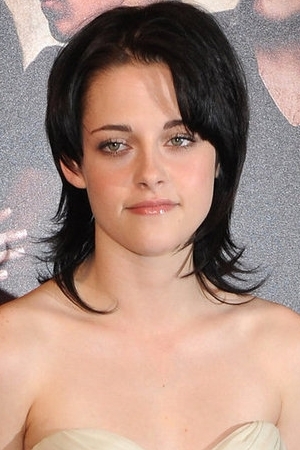 All of these words perfectly describe this Kristen Stewart hairstyle from November 2010. I loved everything about this look, especially the decision to wear the basic but beautiful bun with bold red lips. What works most about this style for me is that it shows yet another side of Kristen Stewart but still isn’t over styled or a complete departure from her usual hairstyle choices. It’s still her, just a different side of her. I like to call this Kristen Stewart hairstyle the throwback because it reminds me a lot of her style from 2009. That’s not a bad thing, of course. It was a great look for Kristen in 2009 and 2011. In 2011, though, Kristen went for a bit of a more subtle look with her hair, letting her outfit really take center stage. The casual waves were more styled than we’re used to seeing with Kristen but it worked. Great choice all around. 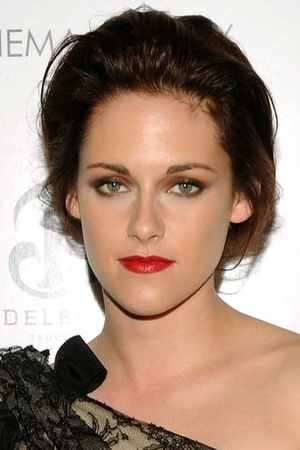 This Kristen Stewart updo from June 2012 was … well, it wasn’t my favorite. Even so, I can see why it appealed to Kristen. It was different and it was fun. I’m not entirely sure it worked on her face shape but it was still an interesting look and it definitely got my attention. I have to respect the lady for taking a risk and making this bold statement. I’m just not sure it worked for her. 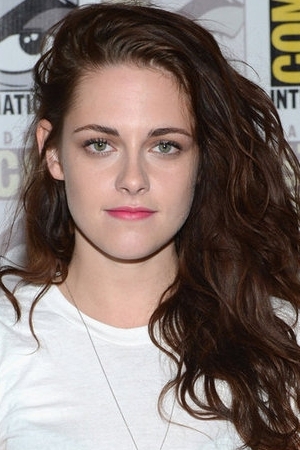 By the time Comic-Con rolled around in July of 2012, Kristen was back in her comfort zone with her messy side swept hair and I was happy to see its return. Kristen looks best when she’s comfortable and relaxed and this hairstyle clearly brings that out in her. It’s really no wonder. This is a great look for her. When I first saw this look, I wasn’t sure how I felt about it. It’s missing a lot of the trademark K-Stew attitude I’ve come to enjoy so much but at the same time, it is still a great look for her. Perhaps this look represents a new style for the young actress. As she grows and matures, it’s only natural to assume her style will grow and mature as well. Looking at the first photo of her here from 2002 and then this one, it’s obvious she’s already gone through some pretty big style transformations. Only time will tell whether this look is just another experiment or something we’ll see more of. Either way, it’ll be interesting to see where her fashion journey takes her from here.